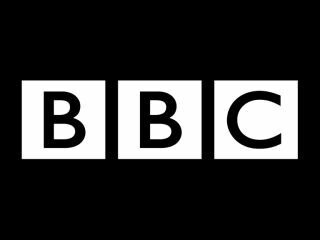 The BBC has deliberately hacked into 22,000 PCs to prove the power of botnets, and the damage that can be done with a network of compromised computers. Click – BBC News' technology programme – with the help of anti-virus company Prevx, took over thousands of computers in order to demonstrate a growing problem in the modern world. Botnets are networks of computers that have been compromised by cyber-criminals and can be used to launch distributed denial of service (DDoS) attacks on servers or, most commonly, to send out the deluge of spam that lands in the world's inboxes daily. "Click managed to acquire its own low-value botnet - the name given to a network of hijacked computers - after visiting chatrooms on the internet," said the BBC. "The programme did not access any personal information on the infected PCs. "If this exercise had been done with criminal intent it would be breaking the law." Prevx demonstrated the ease in which people can 'rent' botnets for their own use earlier this year when TechRadar visited Director of Malware Research Jacques Erasmus. Commenting on the BBC project, Erasmus said "Cybercriminals are getting into contact with websites and threatening them with DDoS attacks. "The loss of trade is very substantial so a lot of these websites just pay-up to avoid it." The BBC points out that it 'destroyed' its botnet after finishing its project.